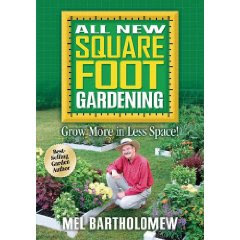 The original square foot gardening book was published in 1981 by Mel Bartholomew who now runs a non-profit organization and writes a blog at http://www.melbartholomew.com . I discovered it about 1985, and I've been a huge fan ever since. There is a new version of this book available at Amazon and a kindle version as well which is very handy for those who like to do their reading on their iPad, phone or computer. Buy the Square Foot Gardening book here. 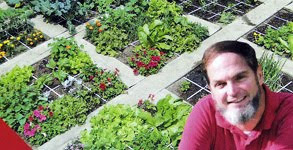 The basic premise of Square Foot Gardening is very simple. You plant your garden in 12 inch squares and you plant your seeds close together. This not only gives you a greater yield but also helps a great deal in preventing weeds as the plants grow closely together. 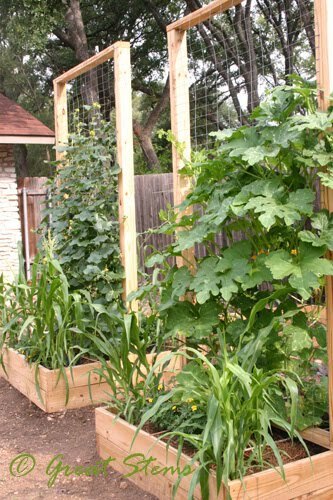 Mel believes in building raised beds so once the ground is prepared it isn't packed down by your walking on it,. He also plants whatever will climb on climbers at the bad of his beds which helps to conserve garden space even more. It's really amazing how much food you can grow in a small 2 foot by 4 foot garden. Mel has worked out his gardening method in great detail. There are guides to specific spacing as well as charts for growing times available at his website. As well as lots of free information, there are various garden accessories for sale as well. The price is quite reasonable and is used to support garden growing in developing countries, which I think is a great place for my charitable donation dollars. This is a great gardening method for those who don't have a lot of space, as well as those who are wheelchair bound. Raised beds have been built on patios that are wheelchair accessible, so everyone can enjoy being out in the fresh air and growing some of their own food. 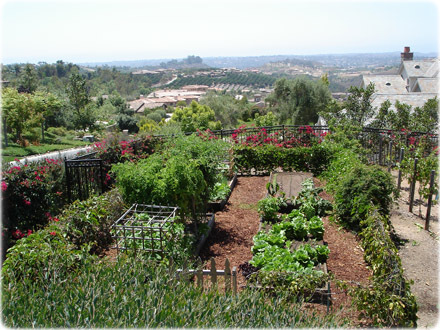 This is just a general overview since I will be writing specifically about all the various facets of gardening in later posts, but if it looks interesting to you, pick up a book or go to his website and check out the various products he has in his store. It's for a good cause as well as being an easy way to get started gardening, especially if don't have a lot of room available to you.